Fan favorite classic game developer Treasure hasn't been silent in this digital age of game distribution. Plenty of its older popular games have made it to Xbox Live Arcade or Wii Virtual Console, generally through its collaborations with SEGA or Nintendo. Last year, the company broke new ground by getting its most popular shooter, Ikaruga, greenlit on Steam after mere days of being eligible for votes, giving Treasure the chance to self-publish for one of the first times. In response, the company is not only looking into porting more of its classic favorites but also it wants to develop some new games to put through Steam. In an interview with Famitsu, translated by Siliconera, Treasure President Masato Maegawa spells out the company's future plans with Steam. "Ikaruga is the first one, and we don't intend on stopping there. There are some players who say 'How about Radiant Silvergun?' but we also don't intend to only do ports. We're thinking of making a new original title for the platform, Steam." Treasure has always been a talented group of developers backed by company giants, but at heart, it is still an independent company run by about 30 to 40 employees. Maegawa explains why the shift to PC and Steam is smart for his small company. "For a small company like us, it's almost impossible to release the same title on all hardware, and on the same day. Well, our motto is still 'make whatever you like, and release it however you like,' after all, so we'd like to thank you all for your continued support." Just another cornerstone in the booming Japanese independent market. Treasure has been around since 1992, so it has the experience of operating on a small scale to navigate it to success without a publisher. No doubt blossoming teams will want to look towards their track record of success to get off the ground. Radiant Silvergun is a no brainer. The HD port on Xbox Live Arcade was well received by fans who were unable to land a copy of the insanely expensive SEGA Saturn version, and it would look just as nice on Steam. Gunstar Heroes, Dynamite Headdy and Alien Soldier have also been released as classic SEGA Genesis games, so what is left for the company to port? 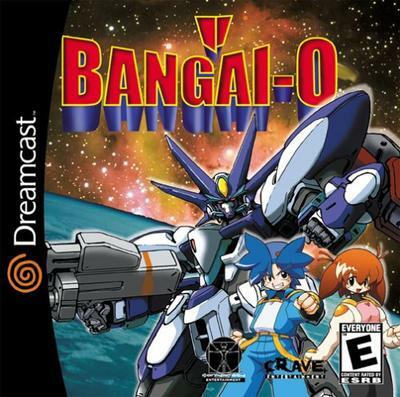 I'm holding out for Guardian Heroes and the Dreamcast version Bangai-O, not the HD remake. Any other favorites out there, or would an original title be best?